The word is out: art dealer extraordinaire Larry Gagosian is alleged to be a racketeer of sorts: “The Feud That’s Shaking Gallery Walls” just broke in the New York Times. This sort of “organized art crime” is nothing new in the artworld, we’ve seen scams and fakes and scandals from all corners of art’s sordid universe. But this is something more on the level of a Jimmy Hoffa or a Bugs Moran or an Al Capone. Thanks to Gagosian’s former pal and partner in crime Ronald O. Perelman, the news is out that there is indeed a dark, seedy, Underworld of crooked dealing that goes on behind the squeaky clean, sanitized white walls of the art establishment. I was on to this years ago, as a roamer and lurker of the Underworld, exploring Dantesque the forbidden political levers pulled during the Bush years. 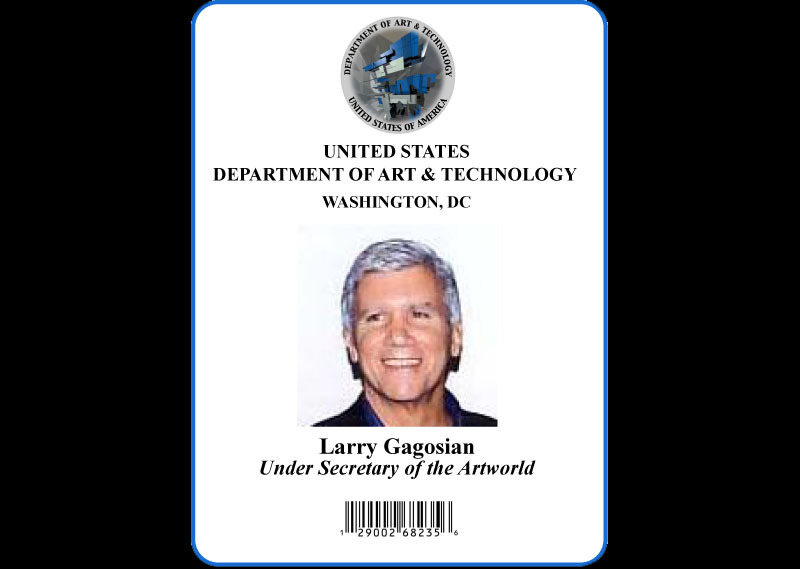 In my subterventions as Secretary of the US Department of Art & Technology, I appointed Larry Gagosian Under Secretary of the Artworld as one who was uniquely qualified for this position of unlimited art power (As we know in Hell, everyone gets their due.) At the time, Gagosian was a member of the art squad that appointed Ed Ruscha the American representation at the United States Pavilion in the 2005 51st Venice Biennale. No small sleight of hand, given that Gagosian is Ruscha’s dealer and stood to gain considerable financial wealth from this seemingly worthy artistic coronation. But as we know, the 1% that drives the political machine is essentially the same set of smooth operators that manipulate the art machine as well. There is hardly any difference between the tactics of lobbyists and art dealers: they are both a corrupting influence instigating the deterioration of lofty ideals that once defined what it meant to be an artist or a public servant. Nowadays, art and politics are all about wielding money and power and prestige. Whether you are a Larry Gagosian or a Jack Abramoff it really doesn’t make much difference: the power of influence goes a long way in anyone’s Underworld. 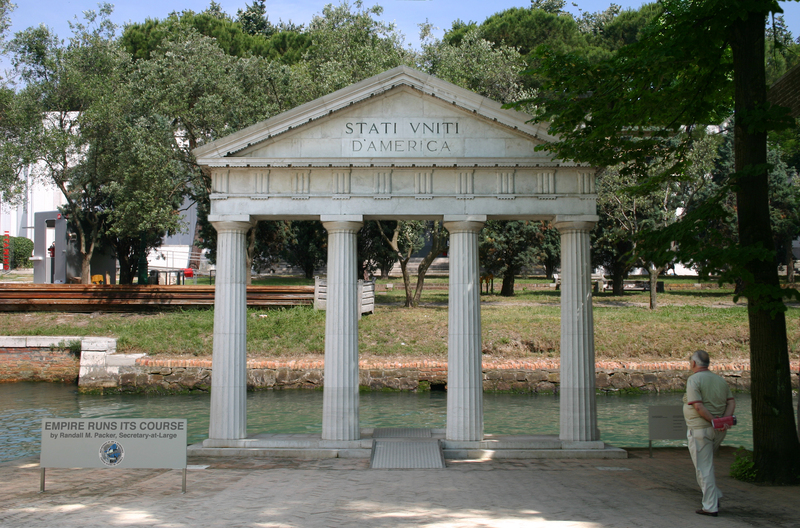 My response to Ed Ruscha’s installation of work in the United States Pavilion at the 2005 Venice Biennale, like any conscientious artist, was to erase it. Sometimes the erasure is the only way to purge the system, cleanse the palette, to use a bad pun. For if virtualization is the only power left in this entirely asymmetrical struggle between good and evil in art, then I say, let Larry have his millions: if there is any hope left in the (art)world, it is our solemn duty to prompt the Empire to run its course.